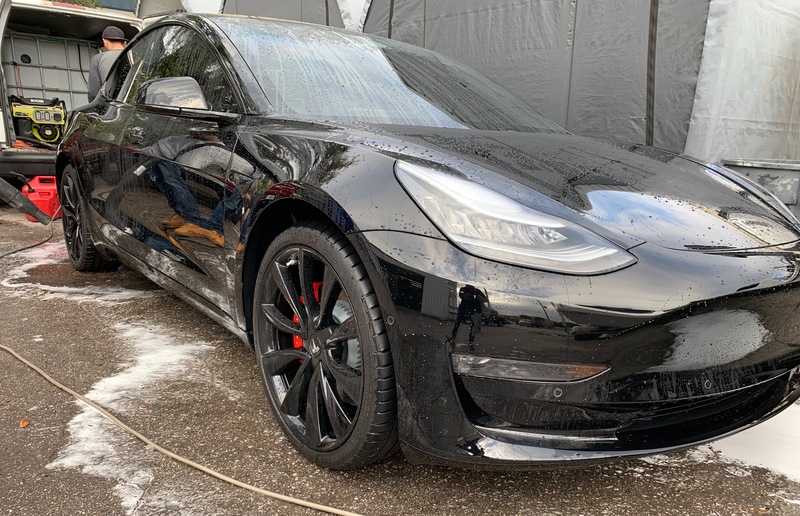 This Tesla Model 3 is now fully protected with clear paint protection film, Ceramic Pro, ceramic window tint, and a full chrome delete. Window tint doesn’t only improve the appearance of your vehicle, but it also can reduce the longevity of your interior. The use of window tint can significantly reduce the amount of heat entered into the cabin. No more dried out leather or spider web cracking on your dash. 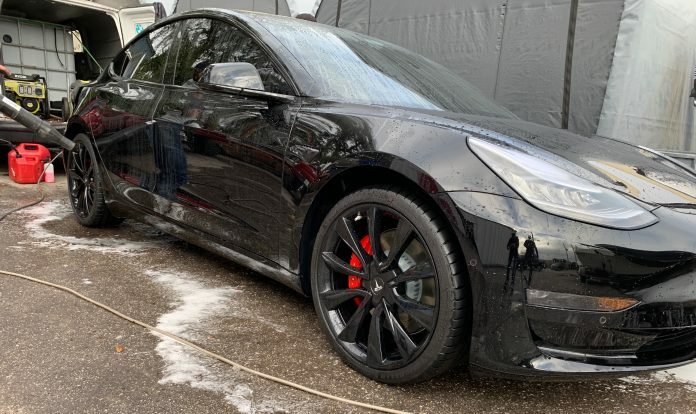 The paint protection film was coated with Ceramic Pro PPF & Vinyl which was specifically designed as a protective coating for polyurethane film and vinyl. It protects from contamination and weathering resulting in film that is much easier to clean. The complete protection program involves a base coat and top coat application. 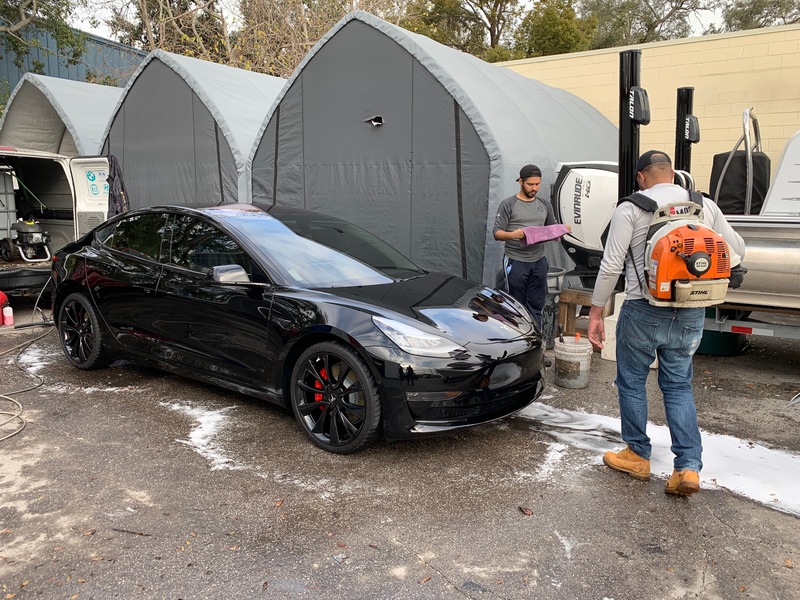 Tesla Model 3 coated with Ceramic Pro in Orlando. We also applied paint protection film, window tint, and chrome delete.